DeNové are delighted to welcome Richard Crade to our team as our new Executive Advisor. Recently employed as Public Sector Business Development Director at NTT DATA UK, Richard is known for his impressive talent for managing teams, developing long-term client relationships and devising client-focused value propositions. He will act as an Executive Advisor for our customers, assisting them with business development and sales opportunity matters. Richard has an excellent track record of success in the ICT industry. At Bull Information Systems, Richard won new business at the Home Office and Ministry of Justice, taking that account to the largest in the UK business over several years. When Steria acquired Bull, Richard became Business Unit Director for their UK Managed Services business with 900 staff in IT infrastructure implementation and outsourcing contracts across all markets reporting to the UK CEO with full P&L responsibility for 70% of Steria’s UK revenues. After a brief time at EDS where he was engagement lead for a £500m Managed Services bid to the Department for Constitutional Affairs, he was recruited to help IBM win more business in the public sector. Richard spent 7 years at IBM developing major opportunities, creating market strategy, coordinating multiple lines of business and coaching deal teams. 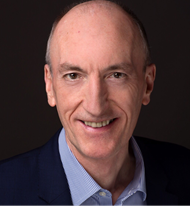 As well as his initial public sector role, Richard took the global lead role on major $200m deal with a Swiss based pharmaceutical company for cloud hosting and application migration and supported Strategic Outsourcing in the Nordics to significantly improve the quality of their client propositions. In 2013, NTT Data UK offered Richard the role of Business Development Director for the Public Sector. During his five years of employment with NTT, Richard won a number of contracts including the prestigious Core IT Services contract at HM Treasury, a multi-year managed service valued to date at ~£30m). We are fortunate to have worked with Richard on a number of multi-million-pound tenders. Given his experience and expertise, we are certain that Richard will be an invaluable member of the DeNové team.